We are now treating old and new stretchmarks and acne scars with our laser technology. Australian doctor’s preferred leading skincare line Rationale has undergone a revolutionary improvement the ISOTROPIC FORMULATIONS. 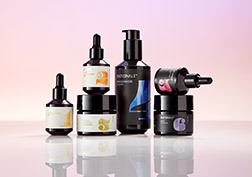 Formulations that are Skin Identical, delivering perfect synchronicity with the skin.